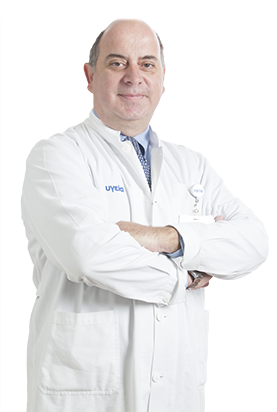 1992-1993: Yale University, Yale New Haven Hospital, Practice And Participation In Surgical Procedures, Pre-Op And Post-Op Treatment Of The Patients At Cardiothoracic Surgical Department Under Dr. John A. Elefteriades (Associate Professor) Supervision. Smyrniotis V, Kostopanagiotou G, Kondi A, Gamaletsos E, Theodoraki K, Kehagias D, Mystakidou K, Contis J. Hemodynamic Interaction Between Portal Vein And Hepatic Artery Flow In Small-For-Size Split Liver Transplantation. Translp Int 15:355-360, 2002. Smyrniotis V, Kostopanagiotou G, Gamaletsos E, Theodoraki K, Kondi-Pafiti A, Panagiotopoulos N, Vassiliou J, Sykiotis C. A Safe Method Of Gut Resection In Women With Complicated Post-Radiation Enteritis After Cervix Cancer. Eur. J. Gynaec. Oncol. XXIV, N2, 195-197, 2003. Smyrniotis V, Gamaletsos E, Markidou E, Kostopanagiotou G, Paphitis A, Samanidis L. Endometrioid Carcinoma Of The Sigmoid Colon. European Journal Of Obstetrics & Gynecology And Reproductive Biology, 109:108-109, 2003. Smyrniotis V, Arkadopoulos N, Theodoraki K, Voros D, Vassiliou I, Polydorou A, Dafnios N, Gamaletsos E, Daniilidou K, Kannas D. Association Between Biliary Complications And Technique Of Hilar Division (Extrahepatic Vs. Intahepatic) In Major Liver Resections. World Journal Of Surgical Oncology, 4:59, 2006. Smyrniotis V, Arkadopoulos N, Kostopanagiotou G, Gamaletsos E, Pistioli L, Kostopanagiotou E. Combination Of Diaphragmatic Plication With Major Abdominal Surgery In Patients With Phrenic Nerve Palsy. Surgery. 2005 Feb;137(2):243-5. E.Gamaletsos,G.Kallimanis, L. Iubas, S.Papadopoulos, C.Pissiotis. Local Excision Of Low Rectal Cancer:12-Year Follow-Up. Hellenic Journal Of Surgery. 2013;85:5,281-286.